Misinformation is rife around China’s most notorious event – arm yourself with the facts, cut through the rumours and take action. 1/ Is it true China has a dog eating festival? 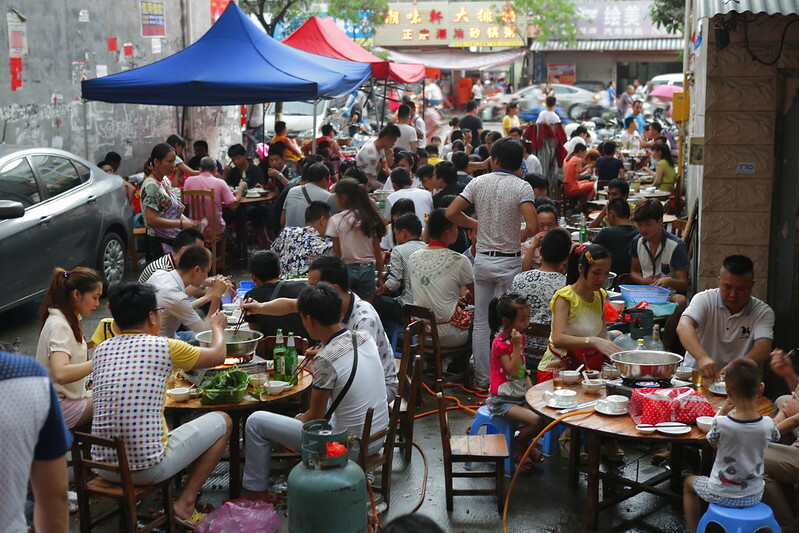 The truth is there used to be an officially organised event in Yulin city called the Yulin Lychee and Dog Meat Festival which took place around the summer solstice. It was an attempt to boost the local economy around an activity that was already taking place. Rightly, the event caused outrage at home and abroad and, thanks to the campaigning of groups including Animals Asia, the government of Yulin removed the event’s official backing in 2014. 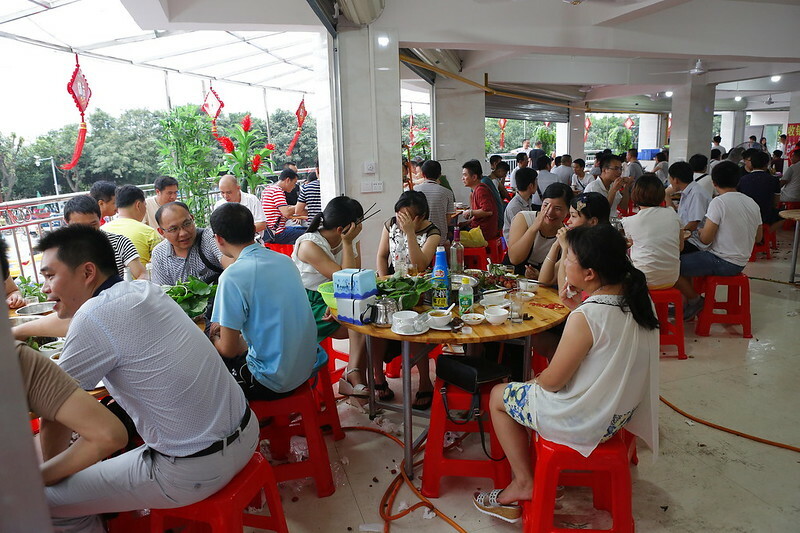 Since then, there has not been an official dog meat eating festival in Yulin, but local people do still gather to eat lychees and dog meat during the summer solstice in an entirely unofficial capacity. 2/ How many dogs are killed during the summer solstice in Yulin? At its height, the Yulin Lychee and Dog Meat Festival was said to be responsible for 10,000 to 15,000 slaughtered dogs. In 2014 that figure was reported as dropping to 2,000 to 3,000. Reliable sources in 2016 – when the event was no longer official – put it at under 1,000. But the truth is, nobody really knows. Nobody is counting and there is no official record of the number of dogs slaughtered so any statistics are merely estimates which must be taken with a pinch of salt. 3/ How many dogs are eaten each year in China? The widely reported – though again difficult to verify – figure is 10 million. If the numbers we have at hand are in any way correct, then the period of dog meat eating in Yulin city around the summer solstice accounts for just 0.01% of the number killed annually across the country. 4/ Why doesn’t the government stop this cruelty? The Chinese authorities now take the view that the Yulin Lychee and Dog Meat Festival doesn't officially exist – and this is technically correct. As eating dog meat is not illegal in China, the authorities say there is no action for them to take. Again, they are technically correct in this stance. How could they justify making an action illegal in one part of the country for a few days of the year, but not others? What happens in Yulin during the summer solstice is horrifying, but it is the same tragedy that happens everywhere else in the country all year round. So, yes, we must end the Yulin dog meat festival – but to do that we must also end dog meat eating in China – and that’s a year-round campaign. As the trend towards caring for animal companions in the home continues to grow in China, Animals Asia expects to see increasing opportunities to stop dog and cat meat eating across the country. 5/ I heard the festival was cancelled? 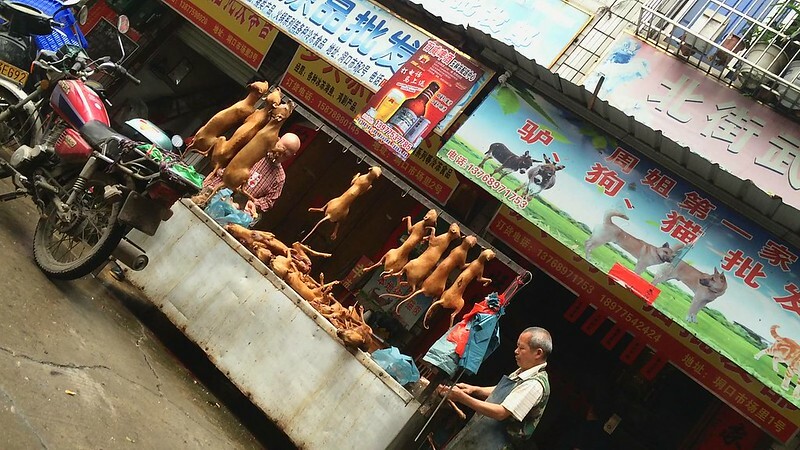 Rumours and misinformation are rife around Yulin. What is true is that there is no longer an official event, but the act of dog meat eating continues year-round and is heightened during the summer solstice. 6/ Is it a good idea to rescue dogs from Yulin? While any compassionate person completely empathises with the desire to save any animal suffering this level of cruelty, the reality is most “rescues” from Yulin are not achieving their goals. The dog meat industry is one of supply and demand and if demand increases – whether the animal is slaughtered or saved – the trader will replace their "stock". This is particularly true in Yulin during the summer solstice. This means another dog will likely be stolen — or purchased using the funds earned from the last “sale”. This increased demand merely raises the price to the benefit of dog thieves and traders. 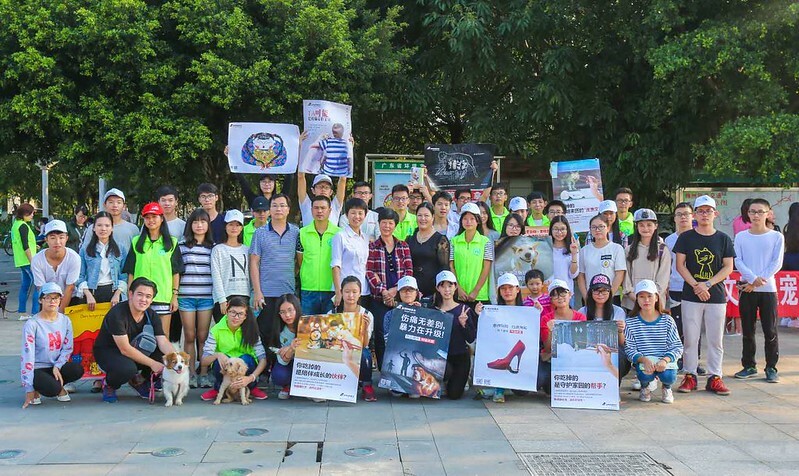 In 2017, over 100 Chinese animal charities wrote an open letter asking dog lovers not to buy dogs as part of dog meat “rescues". We stand with our Chinese colleagues in this regard. That said, if animals lives can be saved using legal channels which don’t ultimately benefit dog thieves and traders, then of course, that is something we support. If, for example, animal charities can help the authorities to intercept illegal transports of dogs – those without the required proof of origin and quarantine certificates – then that is work that we can stand behind. But the long-term care of the dogs must be factored into any such rescues. 7/ Where do the dogs slaughtered for meat come from? Our research shows that the idea that these dogs are "farmed” is untrue. The vast majority are stolen companions or strays. 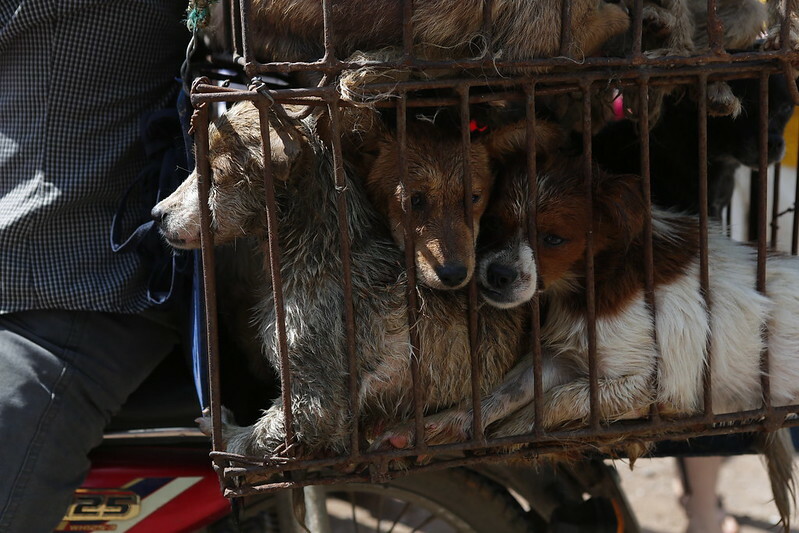 Grabbed or poisoned or both and crammed into tiny cages with other dogs – they start a long journey to a dog meat trader. During this time they have no food or water and diseases spread quickly. These include canine distemper, parvovirus and, almost certainly, rabies. 8/ How are the dogs slaughtered? 9/ Is it true that dogs are tortured or boiled alive to improve the flavour of the meat? These are often-repeated accusations, and while there was some evidence of this many years ago, Animals Asia is yet to find evidence of this occurring today. It’s no exaggeration to say that what the dogs suffer is indeed “torture”. However, we believe it’s more likely that this is due to cruel catching, transportation and slaughter – rather than a deliberate desire to prolong the pain of the dog for gratification, entertainment or to improve the dish in any way. Inefficient slaughter techniques and the sheer scale of the killing involved means it’s probable that the cooking of dogs could start before their death. 10/ How common is dog and cat eating in China? 11/ Do people eat dog or cat due to lack of food or money? 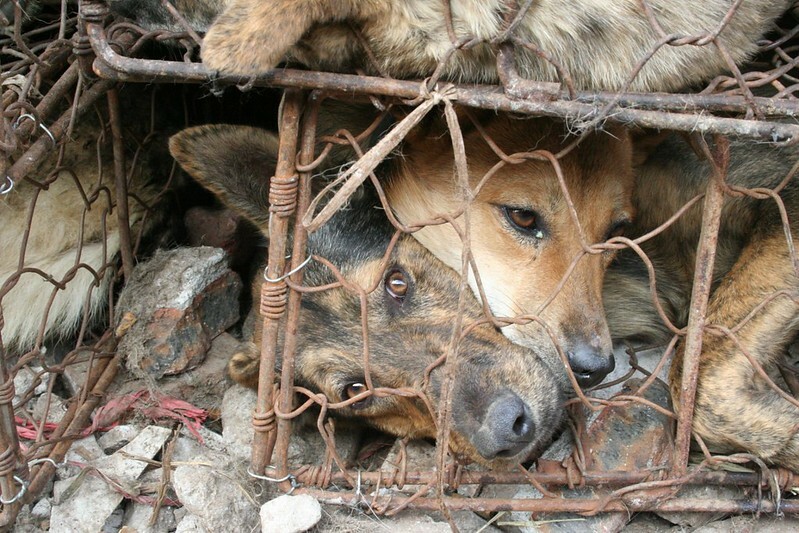 12/ If Chinese people don’t want the dog meat trade – then why don’t they end it? Influencing legislation is not easy, however, there have been significant responses that will not have gone unnoticed. 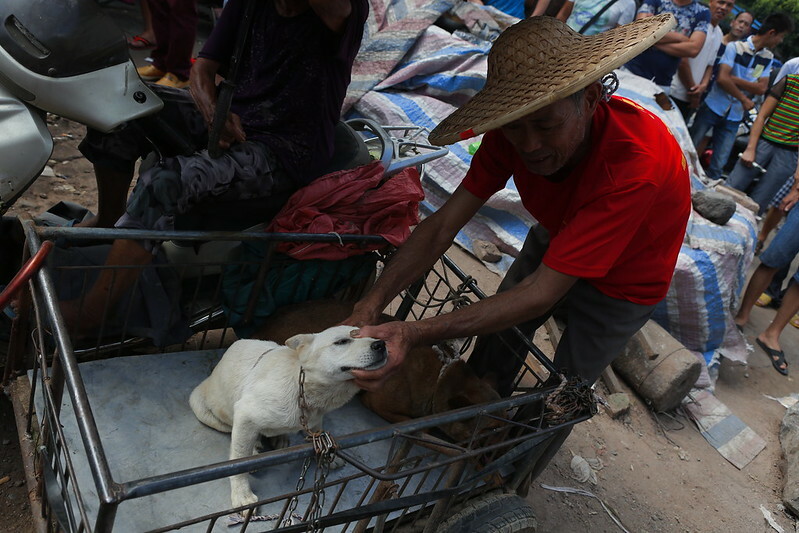 Close to 9 million people voted online for proposed legislation to end cat and dog meat eating. Sadly the proposition wasn’t taken forward. Meanwhile – though dog theft stories are a constant in Chinese media – they still have the power to shock and there’s a growing feeling that the time is upon us for change. 13/ How can we help? Ending Yulin won’t end dog meat eating, but ending dog meat eating will end Yulin. The focus now must be on the year-round trade in dog meat which is rife with abhorrent cruelty and blatant illegality. Do your research, find groups which are working responsibly on the ground to stop the trade all year round, all over the country and help them achieve their goals. Donate, fundraise, raise awareness, volunteer, join a support group, sign petitions – do what you can because it all makes a difference. With your help, change is possible.